Upper Midwest Agricultural Safety and Health Center – Farm Safety Check: Does your farm have a health and safety program? Farm Safety Check: Does your farm have a health and safety program? As a farmer, you make financial decisions every day related to your operation such as buying equipment, selling grain and hiring custom applicators for chemicals or manure. Another important financial decision is having a safety and health program for you and your employees. A sound safety and health program is an effective way to manage risks, protect your business and the people working and living on your farm. Did you know that less than half of farms have a safety or health program in place? Start the New Year by making a decision to create (or update) a safety and health program for your farming operation. Whether you have five, ten or 100 employees, a safety and health program can help you reduce injuries and illnesses by creating a positive, safe workplace for everyone. Listed below are a few suggestions to begin. Identify risks and have a plan how to manage them. Make a list of safety behaviors you want to see on the farm. 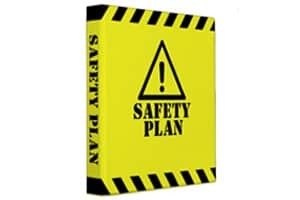 Use a template or example of a safety and health program and tailor it for your own operations. Every farm is unique and there are many ways to create a health and safety plan. Below are a few resources to help you get started creating a program for your operation.